TT GIVEAWAY! 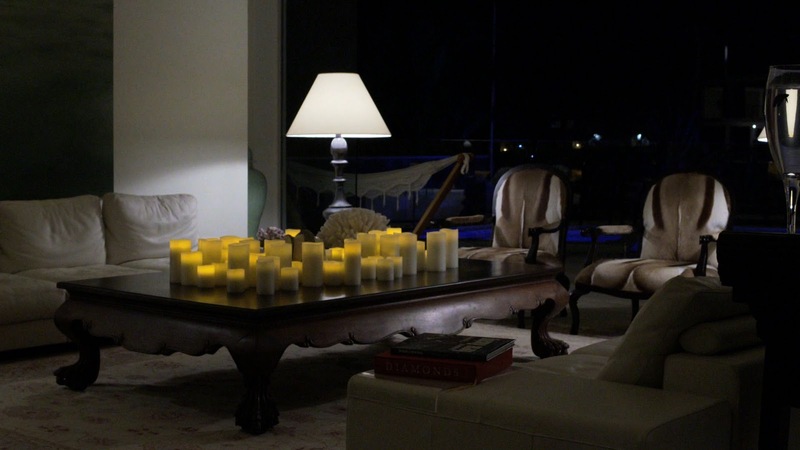 Enjoy Lighting flameless candles! ENJOY Lighting's company tagline reads: "The most realistic flameless wax candles in the word". And they sure-diddly are. In just 15 short months, ENJOY Lighting's flameless candles have captured the hearts of the style-savvy, and now boast a whopping 360 retailers worldwide! Die-hard Tonic-ettes may remember I blogged about them back here. Mainly because they changed my life. Uh-huh. You betcha. So how stoked-beyond-speech am I to be giving away 10 flameless candle prize sets, each containing not one, but two 4 x 8" (10 x 20cm) ivory vanilla scented pillar candles (hello statement pieces!) with a retail value of $120 per prize pack… PLUS one extra prize pack for the person who converts the most friends! 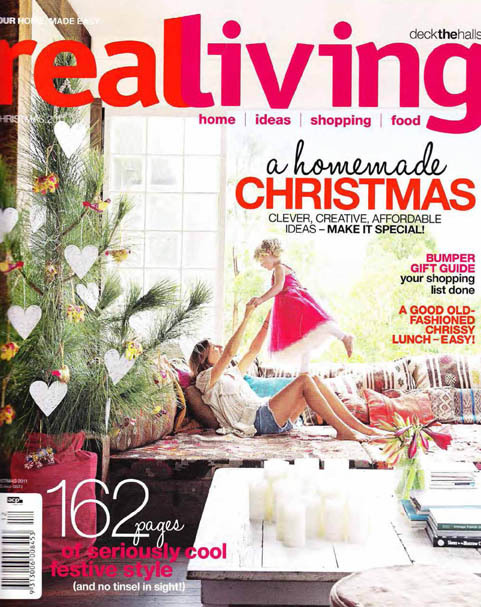 PS Yes, that's them on the cover of Real Living mag (below)! 2. Invite your friends to like the Enjoy Lighting Facebook page (share the promo with a friend) AND..
3. Write “I enjoy my Table Tonic” (and it needs it be a tag ie. @Table Tonic - to tag, click on the name when it appears in the drop down menu as you type it) on the Enjoy Lighting Facebook wall. 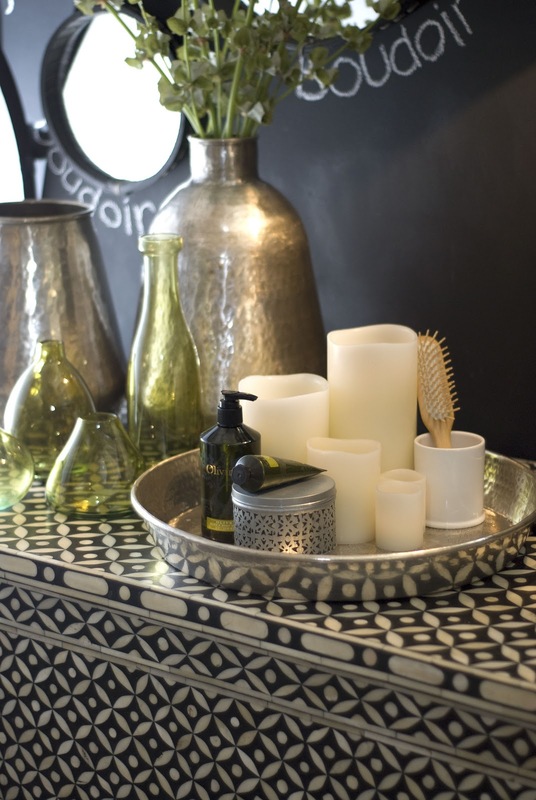 PS You can buy Enjoy Lighting's fabulous range online at Buyster! Go go go! And good luck! Hmm it seems like your site ate my first comment (it was super long) so I guess I'll just sum it up what I submitted and say, I'm thoroughly enjoying your blog. I too am an aspiring blog writer but I'm still new to the whole thing. Do you have any recommendations for inexperienced blog writers? I'd certainly appreciate it. or go for a paid option? There are so many options out there that I'm totally overwhelmed .. Any ideas? Appreciate it! linking issue. I've tried it in two different web browsers and both show the same results. When I initially commented I clicked the "Notify me when new comments are added" checkbox and now each time a comment is added I get three e-mails with the same comment. you're in reality a excellent webmaster. The web site loading speed is incredible. It seems that you're doing any unique trick. In addition, The contents are masterpiece. you've performed a magnificent job on this matter! It's going to be ending of mine day, however before finish I am reading this wonderful article to improve my experience. post on AOL? I need a specialist on this space to unravel my problem. you're not more popular because you surely possess the gift. different website and thought I should check things out. Keep up the good work! You understand, a lot of people are searching round for this info, you could help them greatly. great post, very informative. I wonder why the other experts of this sector do not understand this. too quick for newbies. May you please extend them a little from subsequent time?